Today is Pinata Day and Scalin's book says to make a pinata and destroy it. 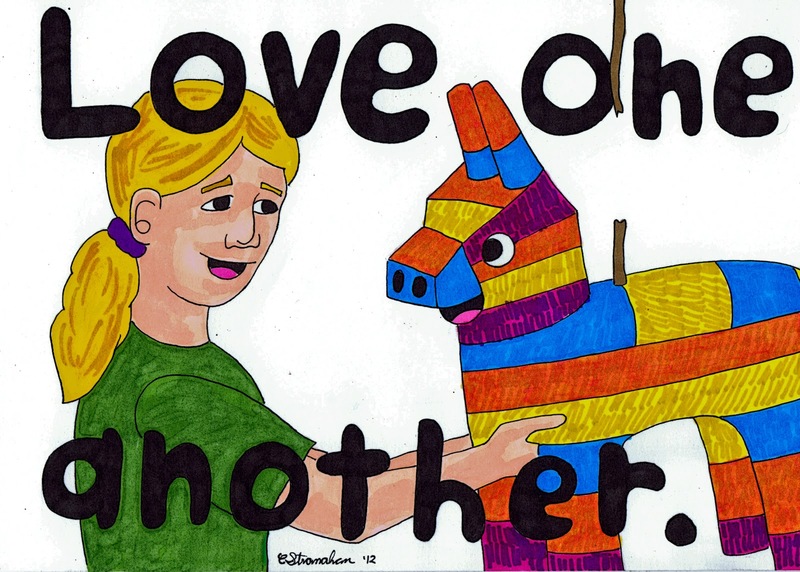 This project, though, is all about the love so why not make it Pardon a Pinata Day? What did it ever do to you that you have to string it up like that and beat it with a stick? Have mercy and just take the candy out. There's a hatch and everything.